At the tender age of 11, your dear author was quite the budding artist. 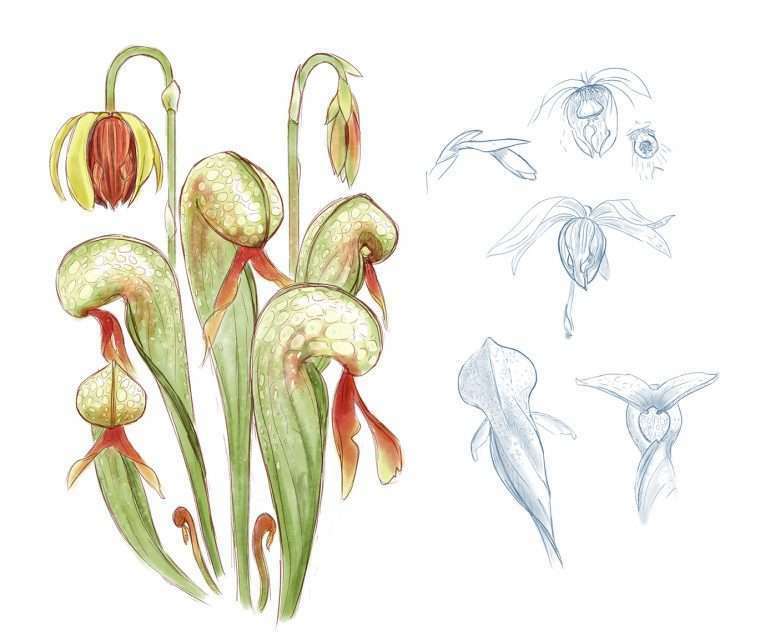 I mostly drew gnarled monsters, aliens and dinosaurs, but once I found carnivorous plants, two fascinations converged. All I could do was read about carnivorous plants (thanks Peter and The Savage Garden), pick up plants where I could (thanks Donnie Elkins), and sketch them (thanks for encouraging the talent, mom). Books, plants, and art supplies were expensive, though! What was a young plant nerd to do? I soon found the Los Angeles Carnivorous Plant Society, and discovered a means of supporting my fascination via my fascination. Framed art prints transported and sold, or straight-up traded for plants at LACPS meetups funded the hobbies and fed a virtuous cycle, of art begetting plants begetting art. I was lucky and had supportive parents who helped me make the prints, and drove me all the way down to the Alhambra Chamber of Commerce for meetups. This was in the days before the internet was a great tool for finding audiences interested in my wares. The web has since evolved into a beautiful, robust thing, and the tools to sell art to the world are there for those willing to learn how to use them. Today, I’m proud to announce the launch of Carnivorous Plant Resource Artist Marketplace – a collection of awesome art created by community artists for the community! The marketplace is a one-stop shop to find a new painting for your wall, a gift for a friend, or decor for your mantel formed from glass. 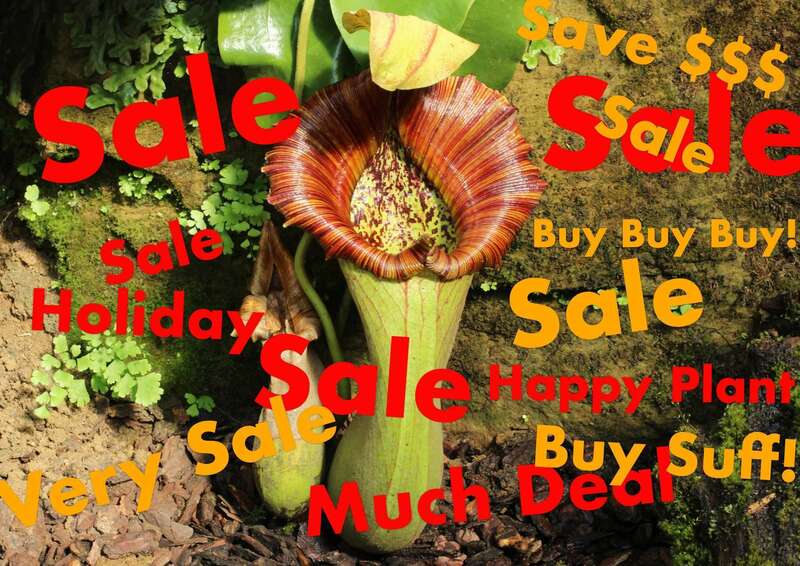 I wanted to build on the virtuous cycle concept, and invest directly back into the community, so a portion of sales (at no additional expense to the artists) will be donated to the International Carnivorous Plant Society for plant conservation and research. Crab Saw – Lee has a full collection of surreal, steam-punk-esque, carnivorous-plant-powered timepieces. I don’t think it gets more creative or badass than this, folks. Check out his work and pick up a few complimentary pieces from the collection. Fancy Fruits – Good old Audrey II-inspired art created by hand for those looking to liven up their nursery with something that may or may not require daily feedings of blood. Heidi Stavinga Studio – Heidi uses alcohol inks to create whimsical pieces with vibrant colors and beautiful details. Laurelin Rian Art – Focuses her ink and watercolors on the creatures that most need our attention and support. Her prints and stickers are beautiful reminders to take responsibility for our actions and preserve nature for future generations. Meesh Botanical Art – Meesh paints gorgeous botanical pieces that are so beautiful, insects land on them instead of the actual plants. She has a beautiful style that I can’t do justice describing in words, so you’ll just have to check out her work for yourself. Pelham III – has mastered surrealist carnivorous plant art. 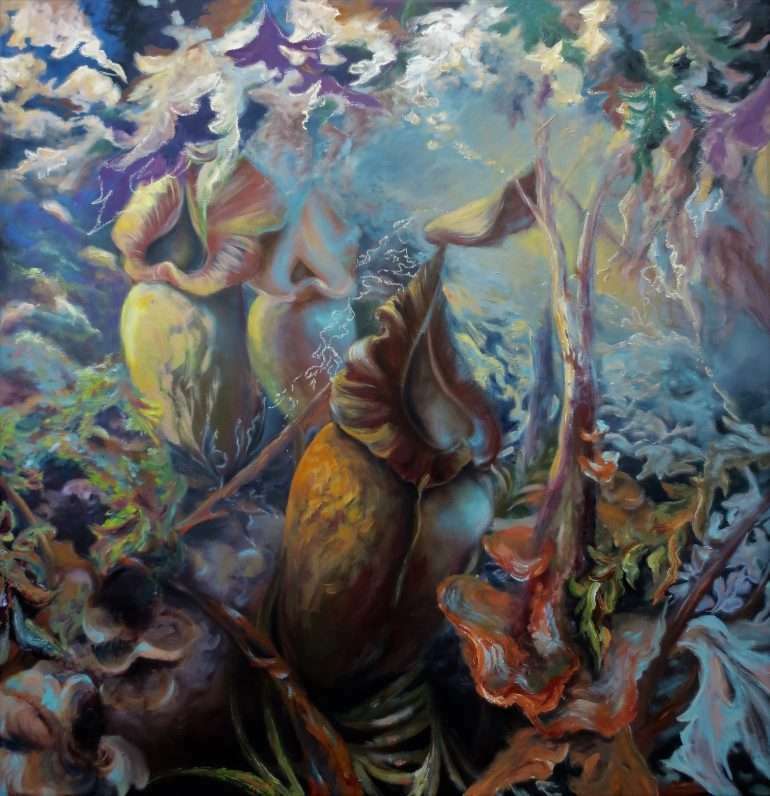 His paintings are like beautiful, thoughtful carnivorous-plant-focused acid trips. Plant Art by Sonia – a master of many mediums! Sonia captures our favorite botanical carnivores using a fascinating combination of techniques and printing methods that deserve their own documentary. Rafael Glass – a creator of intricate, nature-inspired glass figurines. Imagine one of his glass spiders crawling along your pitcher plants! Sarah with Tea – Has a beautiful collection of modern botanical sketches, highlighting the physiology of some of my favorite carnivorous plants. 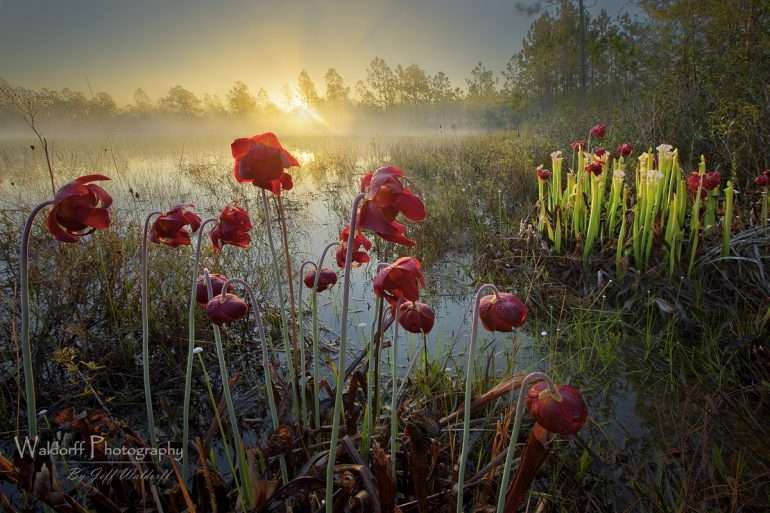 Even better is that, in addition to what CPR is already donating to conservation efforts, Sarah is donating her own personal portion to The North American Sarracenia Conservancy. Silentcheesecake Designs – Creates delicate pendants of carnivorous plants frozen in time. Her work features pitchers from cobra lilies and North American pitcher plants preserved and suspended in wax. Sweet Ash Art – Trust in the name. Ashley approaches her art with a modern twist and crafts nature-inspired pieces primarily in colored pencil and watercolor. Sylvester Fritz Art – Alex creates gorgeous botanical paintings and colored pencil pieces. I was so enamored by his work, that I commissioned him to create the artwork for CPR’s Audrey II plant page! Waldorff Photography – Jeff takes the photos that I wish I could for CPR. His talent out in the field is constant inspiration for me, and his work will look amazing on any wall, regardless of your fascination with carnivorous plants. WoodlandFables – Merges fairy tales and the natural world in her whimsical and gorgeous botanical illustrations. Xylographilia – Liv hand-prints all of her work using a fascinating printmaking process that merges traditional and modern tools with European and Japanese techniques. She carves her pieces out of wood – using plants to make plant art. She draws inspiration from her growing bog garden. Who wouldn’t? If you are a botanical artist and have carnivorous plant pieces you’d like to sell through the Marketplace, please register here and I’ll be in touch to get you setup with your own storefront. The nature of the Carnivorous Plant Resource marketplace is one of openness and communication directly with the artists who list their work. Everyone is expected to be communicative and timely in their support. Here are our terms and conditions, if you have any questions. Please, peruse the Marketplace and find a new piece of art for yourself or a gift for a friend. 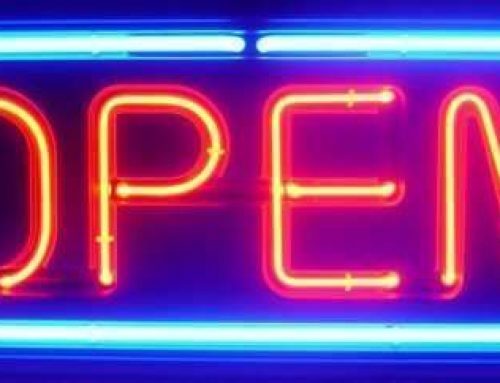 I hope you enjoy seeing all the spectacular work, and look forward to bringing more awesome pieces to you as current artists create more, and new artists join up.